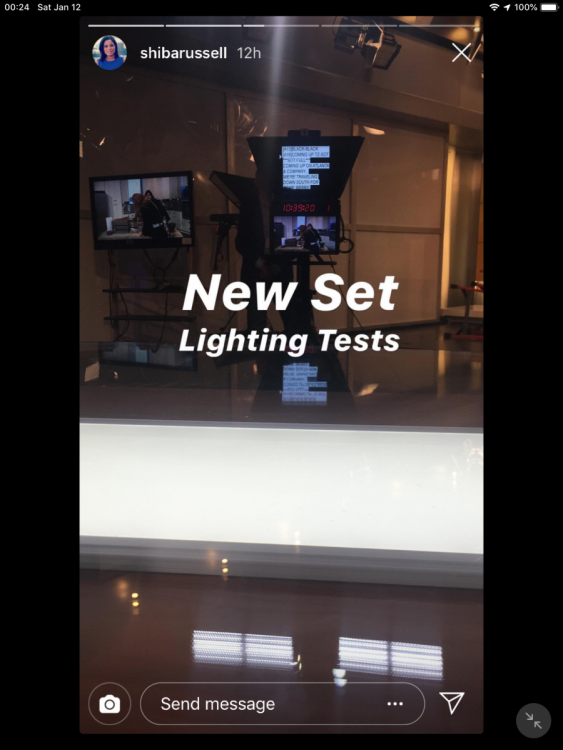 Shiba Russell has posted a story on Instagram of a new set. Today they were rehearsing but not much was seen and yesterday (I didn’t get a capture) she showed some work going on from the desk. That was short lived for the prior one. And deservedly so -that TEGNA cost cut box was barely a set. Hope they get something more grand and traditional. Their current set is a dog. Glad it's getting the heave-ho. 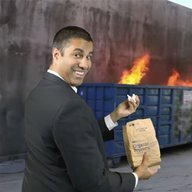 Here's to hoping the new one will be better. I hope it not the same as the other TEGNA outlets have..WUSA9 is about the only one in the group to talk about. 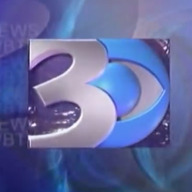 That logo reminds me of the old WTOL logo...and Tegna just acquired it, coincidence? I like that new logo. Bold and it works with the branding system. As good as the jcbD logo was, it aged kind of horribly. Some of the later Gannett/Tegna packages used it in not great ways. 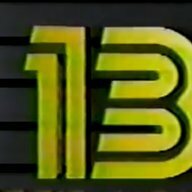 Looks somewhere between the 11 used on KARE and the 80s 11 Alive 11, but not italic. Was wondering if there was any shot they'd ditch that early 90s logo - never cared for it but figured it was in the market so long they wouldn't dare touch it. Good for them - this is a better logo for television. 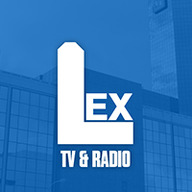 The logo looks like WPIX's logo from the mid-90s to mid-2000s. I like it too. Looks like something that could work today and last for the next decade or two. 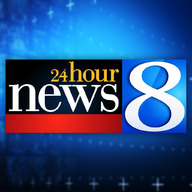 If that is the new logo, at least they didn't go the WVEC route and just use the Proxima font for the 11. That is definitely a modernized nod to their past incarnation back in the 80s. I think it has staying power. As much as I liked the one they've had since the 90s, it was time for a change to something more legible. I think it might be a bit better if there was the slightest serif on it, but are we just going to ignore that slogan? 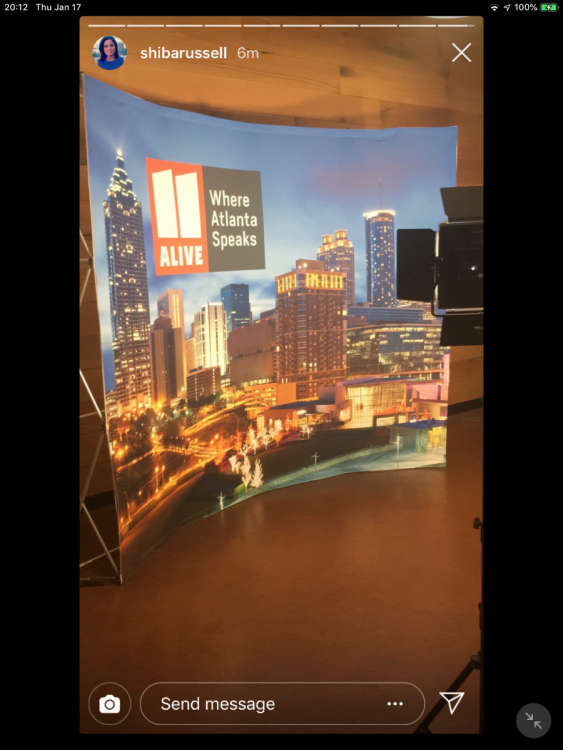 "Where Atlanta Speaks"? What? Eh, not awful, but I agree with @MidwestTV that it would look better with a serif. Otherwise, if they were aiming for a non-serif, I would’ve just imported WHAS’ 11. For once, Tegna actually did a decent logo. Granted, I would've preferred using the KARE "11", but considering how they could've went with the KTHV "11", I'm happy. 01) Already 18 days into the year... worst logo of 2019, thus far. But whenever the set and logo go live, I’ll be updating the WXIA news open video. This is the worst case of a novelty name for the process that Tegna puts their stations through to bring them in line with corporate standards infecting a station, and yeah @TheRolyPoly, I am going to barf too! What I’m wondering are there any buildings in Atlanta that have sloped roofs like the logo ? Im just assuming this is a new logo as it’s on something official. Yeah I was thinking the same. More of a slope with the 11. KCBD in Lubbock says hello. What I’m wondering are there any buildings that have sloped roofs like the logo ? I guess you never have been to NYC. Citicorp building does.